I get a lot of questions about love spells; do they work, which are better, what do I need, how long do they take? I'm going to attempt to address as much of this complex issue as possible. Yes, they can work -- sometimes rapidly -- but if things have been going wrong for a long time, they can also take a long time, a lot of effort, and a good deal of money to make work. Of all the conditions addressed by hoodoo (money, luck, crossing, uncrossing, road openers, friendship, court cases, protection, etc. ), love work is one of the hardest to get results on. If you think about it, the answer as to why is obvious. Getting a person to feel, think, or act in a way they are not naturally inclined to is much harder then shifting the odds of luck, or fighting a magical curse with a magical cleansing. People have free will, and trying to change that isn't easy. Drawing new love is much easier then returning a lover who is gone. The longer gone the lover is, the harder it becomes. And once that lover has started seeing someone else the difficulty increases. If the lost lover has actually remarried, the difficulty goes up even more so. The vows of marriage are an act of will and commitment that can be very difficult to break. Which love spells are better? Lucky Mojo, like most Hoodoo suppliers, offers a wide range of recipes for love work. They range from the gently encouraging, to the persuasive, to the downright compelling. To attract a new lover the best recipes are Attraction, Come To Me, Love Me, and Kiss Me Now -- they are drawing recipes designed to encourage love, attention and sexuality. To increase the passion in an existing love affair or bring about declarations of love, you may want to look at Adam and Eve, Fire of Love, Marriage, Stay At Home, or Stay With Me. To gently reconcile a lost lover who is not otherwise involved with another, the best spiritual supplies are Reconciliation and Return To Me. If your lover is involved with another, you will need to break them up, and that requires the use of the Break Up recipe or Separation, and may even require that you Hot Foot the other person away from your lost lover. In my experience single applications (one oil, one vigil, one honey jar) of reconciliation and/or break up supplies may not solve your problem. Once a person has left, they have left for a reason that is completely valid to them. Getting them to change their mind, or getting them to leave the new person they are with may be easy if the problem is mild or recent, but if the relationship has been on-and-off or the problem led to emotional outbursts, sexual infidelity, or a complete cut-off of all communications, winning your way back to love may not be easy. I know that losing a lover can be awful; I've been there. But trying endlessly to return a lost lover is not the way to go. I advise this to every client I speak with. Set yourself a time line and make yourself a promise that if you see no positive movement toward your goals, or do not get your lover back within the allotted time, you will, with grace and courage, take this as a sign to move on -- then let it go, remember why it didn't work with them in the first place, and find find somebody new who can love you as deeply and sincerely as you desire. Now, if you are determined to do this, I want you to take a moment and consider exactly how far you will go. How much money will you spend, how much time will you invest, and how far are you spiritually willing to go to get them back? If you have decided that you are willing to force or compel a lost lover to return then following choices are available to you, in order of severity. Follow Me Boy or Follow Me Girl are used to make the person follow you around like a dog. They have compelling herbs and roots in them to get the other person to be committed to you. I Dominate My Man and I Dominate My Woman are love products designed for controlling and dominating another. Intranquility is a type of spell to make your lost lover miserable until he or she returns. Realize that they may not return happy to see you! Once the persuasive love spells have not been shown to work for you, you may move into spells that include commanding/compelling/controlling herbs and roots, or those intended to make the other person miserable until they return. Consider if you really want to do this. Is it worth it to force someone to love you or be with you? A Candle? An Oil? A Powder? A Spell Kit? 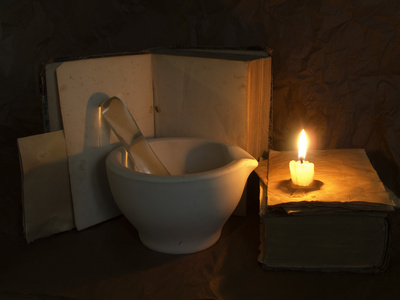 A single candle, oil, powder, etc. may not get you results. Depending on how long you've been alone, and the nature of any opposition or blockages, your love work may be a long undertaking that will require you to use as many of the tools available to you as possible. If you have no prior experience with doing magical work, you may wish to start with a divination or psychic reading to assess your chances of success. If the reading is positive, then your rootworker may recommend the purchase of a spell kit. Spell kits contain all the items needed to do the work, and come complete with easy-to-understand instructions, making them the ideal choice for the magical newbie. Can I hire someone to do this? There are no guarantees that any given spell must work, but spell-casting for reconciliation is a traditional and authentic part of hoodoo. Some rootworkers do not take reconciliation cases if a third party is involved -- that is, if your ex already has found someone else -- and some will not break up a marriage, especially if children are involved, but most strong workers will at least offer you magical coaching and help with spell-casting, and may also provide "back-up" services, such as the setting of candle lights for you, while you perform the work. I have seen cases in which untrained people who did their own love work got results as good as a hired rootworker, because they performed an authentic spell with full confidence and sincerity, using traditional conjure spiritual supplies. The best solution may be to hire a helper such as myself, or, if you wish to do your own work, ask me to set vigil lights on my altar to "back up the work." The Lucky Mojo website has pages and pages of information on love spells, free love spells, how to use their products and suggestions. You can also find out about the herbs and roots available for love work in catherine yronwode's book "Hoodoo Herb and Root Magic." 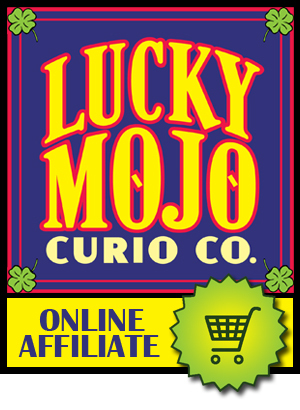 Using Google, search for Lucky Mojo and read as much as you can.